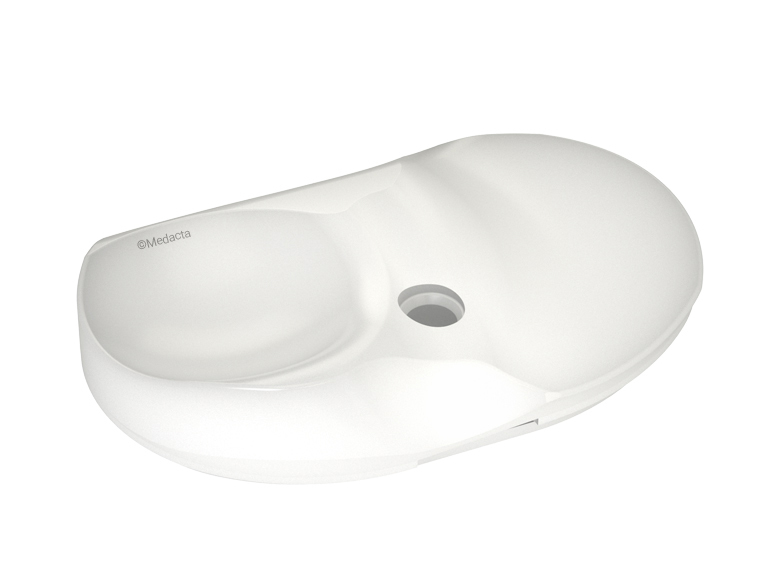 many patients continue to experience functional deficits after surgery. 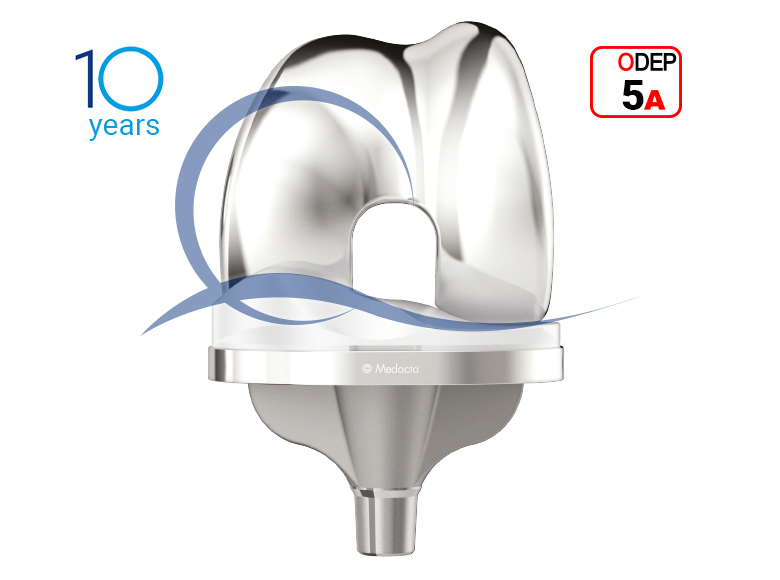 Patient expectations are not as well fulfilled by TKA as by total hip replacement with fewer knee patients achieving a “forgotten joint” replacement. 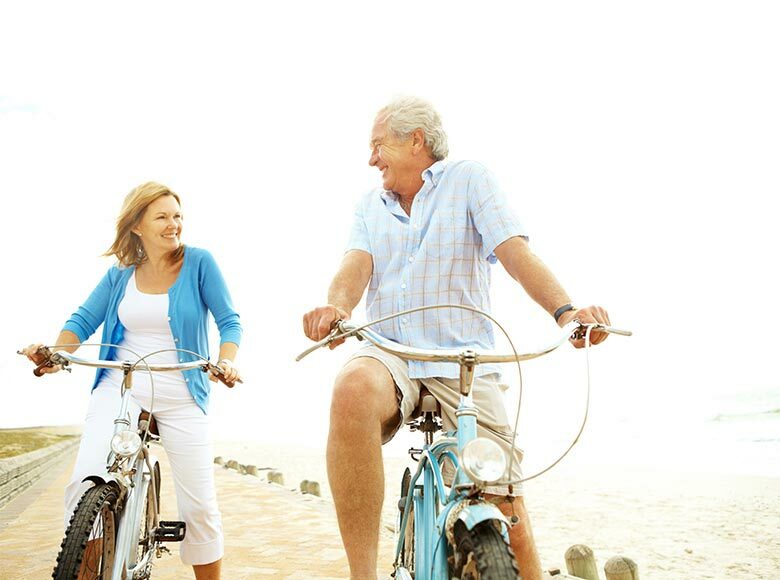 Studies show that around 20% of TKA patients are not satisfied[1, 2, 3]. Excessive A/P motion may result in anterior knee pain and continued swelling. 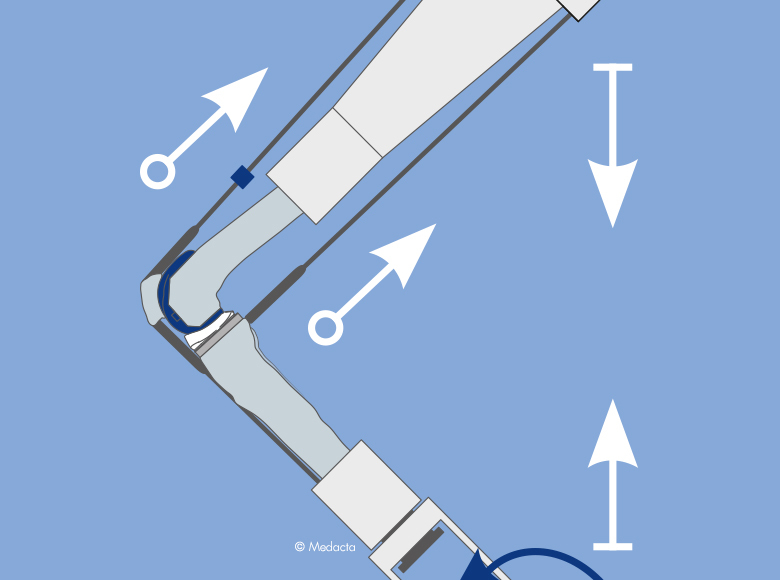 In many P/S designs, the stabilizing mechanism only engages after 70-80° of flexion leaving the knee vulnerable to A/P instability during the most commonly encountered functional activities. 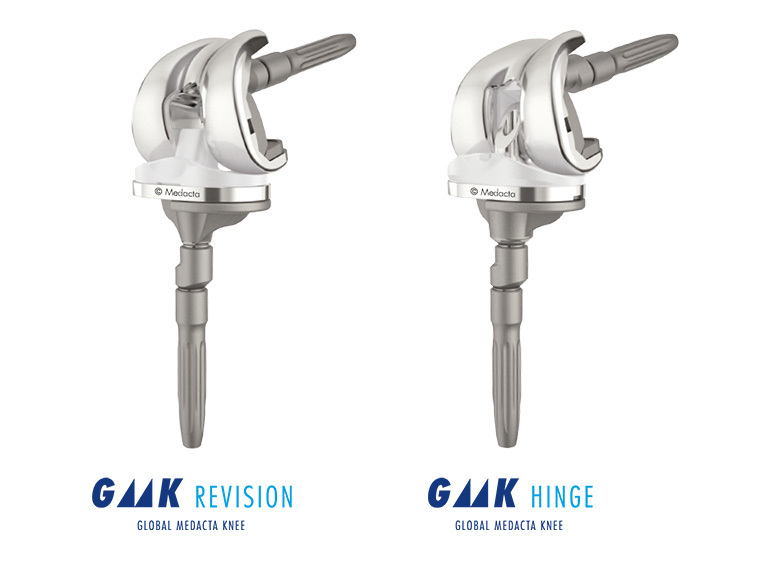 Based on the knee anatomy and kinematic studies performed by Prof. Michael Freeman and Prof. Vera Pinskerova, the GMK Sphere is an innovative total knee implant designed to deliver maximum functional stability with the goal of increasing TKA patient satisfaction during activities of daily living and decreasing post-operative knee pain. 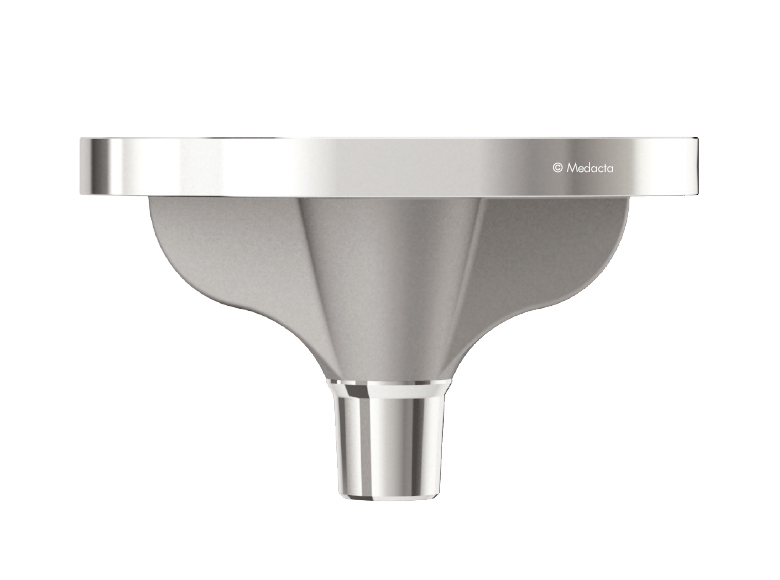 Medacta is committed to providing innovative and safe solutions for patients with an evidence-based approach. 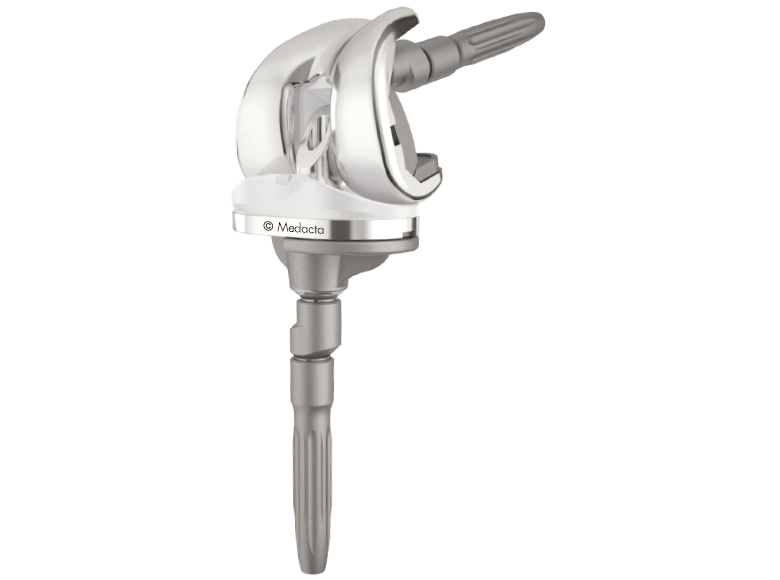 The combination of 13 femoral sizes and inserts with 1 mm increments allows the surgeon to “fine tune” ligament balance and improve stability throughout the range of motion. 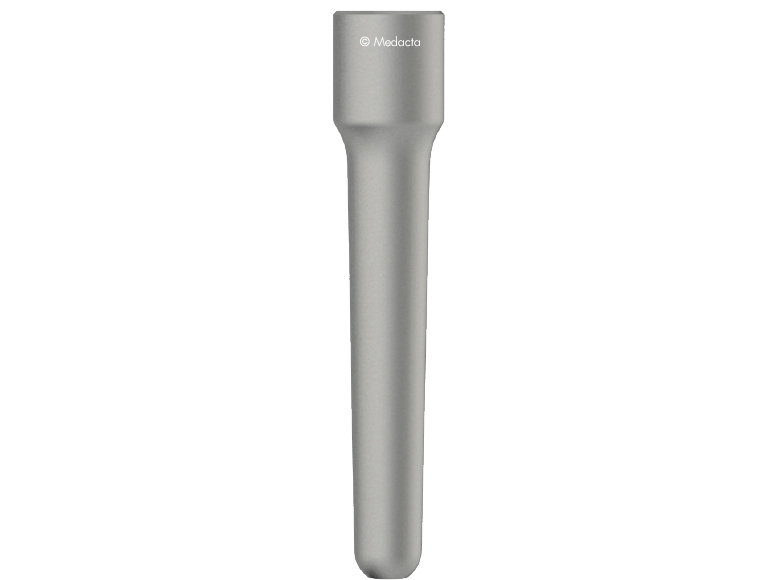 GMK Sphere maximizes the femoro-tibial contact area to minimize polyethylene wear. Tippett SR et al. 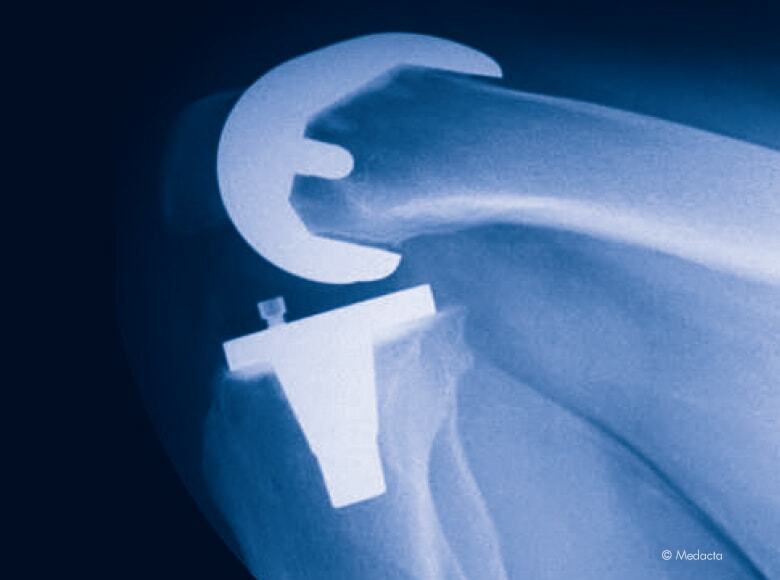 “Collecting Data with Palm Technology: Comparing Preoperative Expectations and Postoperative Satisfaction in Patients Undergoing Total Knee Arthroplasty “ J Bone Joint Surg Am. 2010. 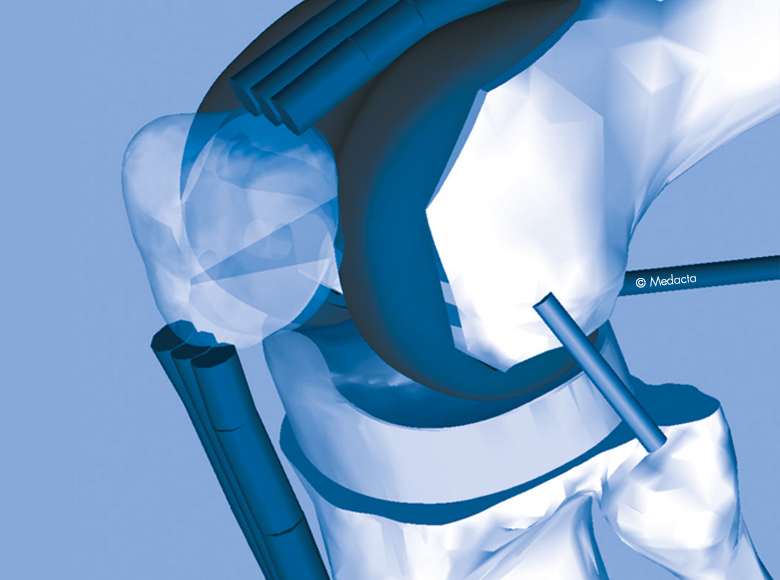 Behrend et al.” The “Forgotten Joint” as the Ultimate Goal in Joint Arthroplasty”, The Journal of Arthroplasty vol 27, n 3, 2012. 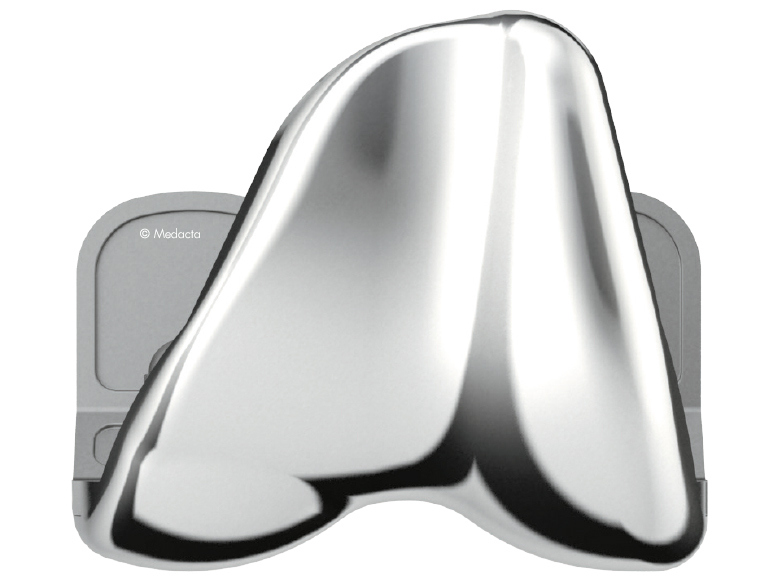 Blaha D “The Rationale for a Total Knee Implant That Confers Anteroposterior Stability Throughout Range of Motion” The Journal of Arthroplasty Vol. 19 No. 4 Suppl. 1 2004. 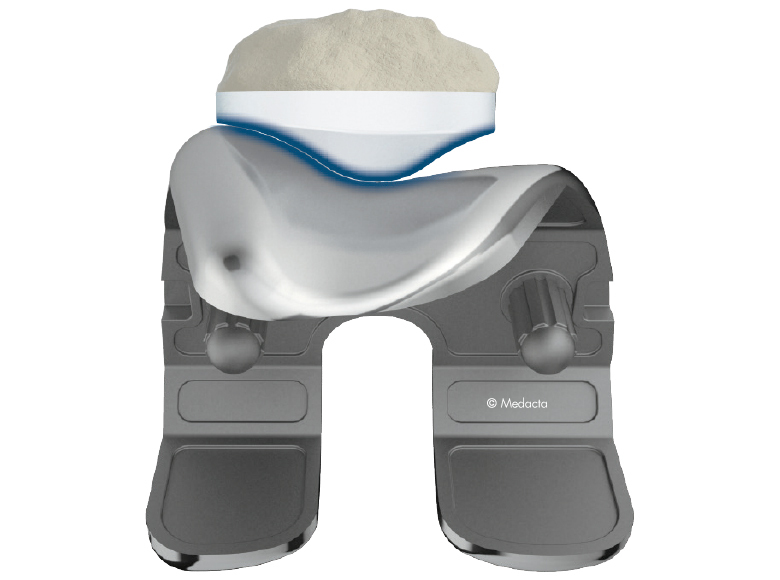 Pritchett JW “Patients Prefer A Bicruciate-Retaining or the Medial Pivot Total Knee Prosthesis”, The Journal of Arthroplasty, 2011. Freeman MAR, Pinskerova V “The movement of the normal tibio-femoral joint”, J Biomech. 2005 Feb;38(2):197-208. Hossain F et al. 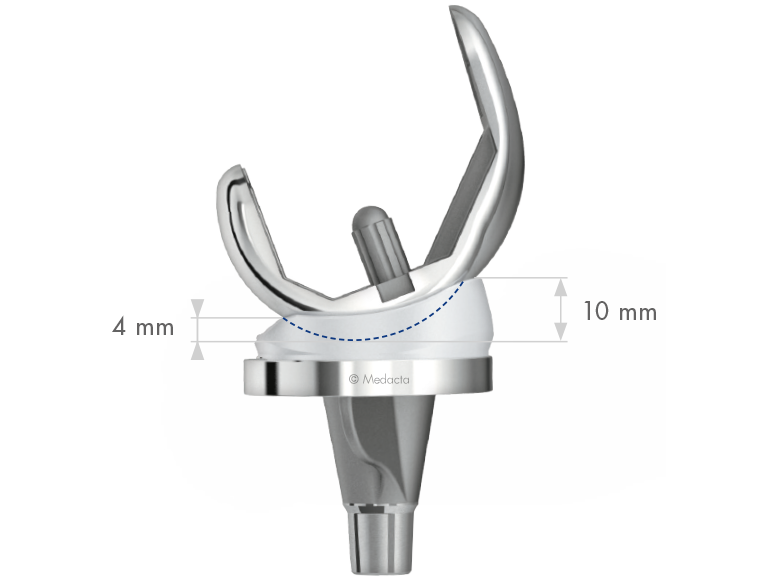 “Knee arthroplasty with a medially conforming ball-and-socket tibiofemoral articulation provides better function”, Clin Orthop Relat Res. 2011 Jan;469(1):55-63. 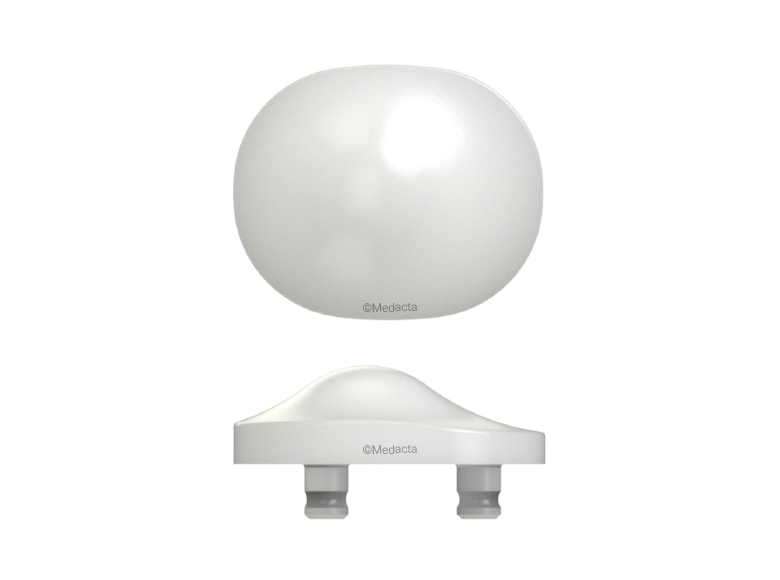 Jansson V et al, “Kinematics and contact patterns before and after TKA: an in vitro comparison of GMK PS vs. GMK Sphere”, Podium presentation at DKOU 2014, October 28-31 2014. 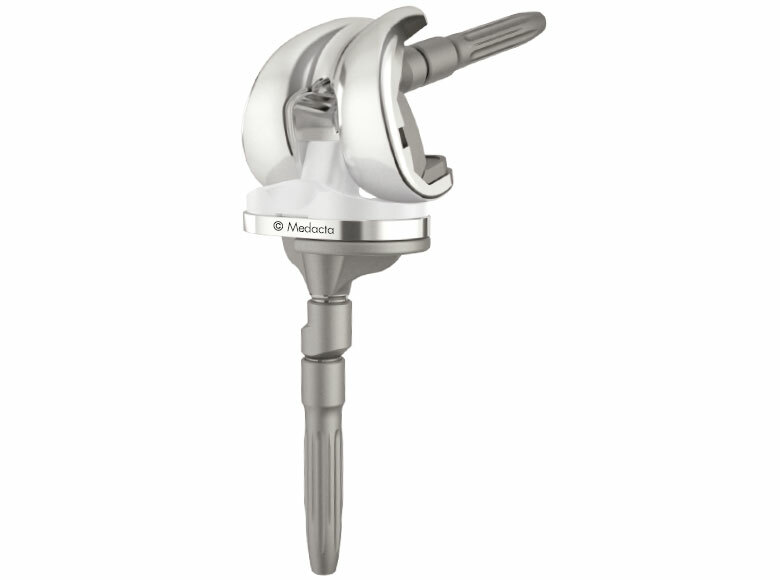 Meijerink HJ et al, “The trochlea is medialized by total knee arthroplasty. An intraoperative assessment in 61 patients”. Acta Orthopaedica, 2007. 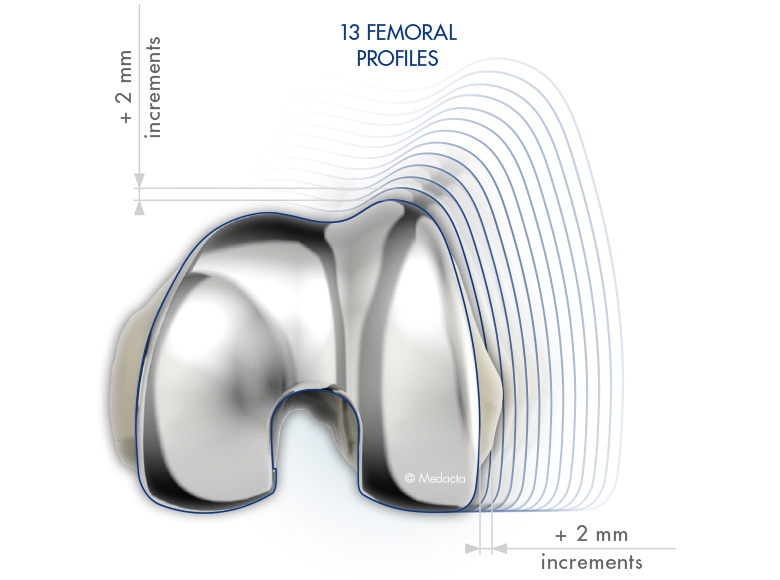 Morra EA, Greenwald AS “Simulated kinematic performance of The GMK-Sphere Total Knee Design During A Stand to Squat Activity”, Study Report 2013. 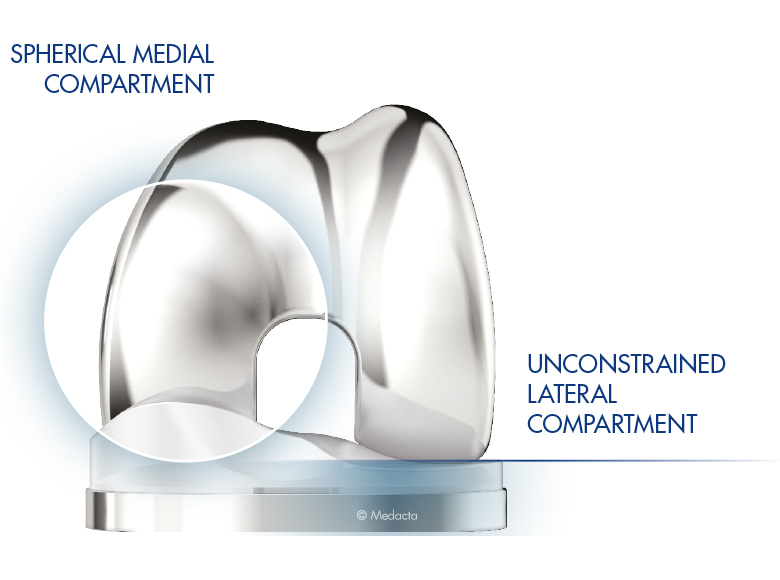 Banks S et al, “In Vivo Kinematics of a Medially Conforming & Rotationally Unconstrained TKA Design”, Podium presentation at the 27th Annual Meeting of the International Society for Technology in Arthroplasty, Kyoto, Japan, September 25-27, 2014. Haider H, Kaddick C, “Wear of Mobile Bearing Knees: Is It Necessarily Less?”, Journal of ASTM International, 2012. 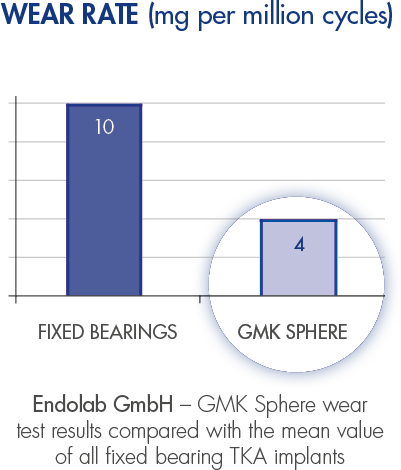 Field R et al, “Preliminary results of GMK Sphere”. 7th M.O.R.E. International Symposium, Proceedings. Distributed with The Bone & Joint Journal, June 2014 issue. 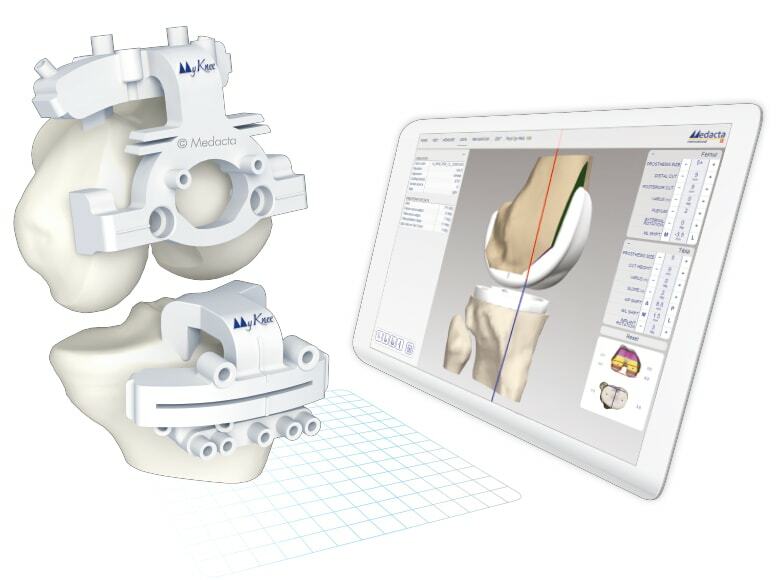 Medacta's Knee Revision portfolio consists of a wide range of implant options and combinations to address ligament instability and bone defects and allows the surgeon to find the best solution for each patient. 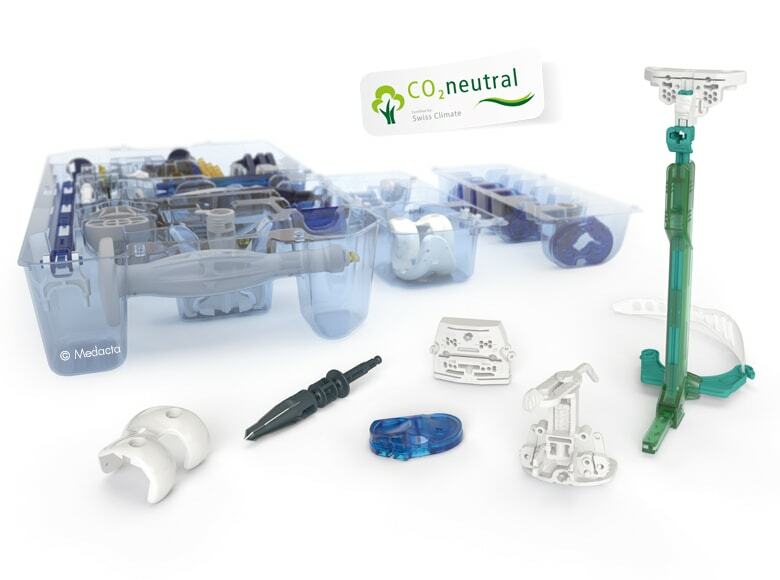 Featuring modular instrument and implant solutions, Medacta’s products deliver the flexibility to accommodate the interoperative demands even in the most challenging surgical scenarios.